Recently, there has been a lot of buzz around skin care products and the harsh chemicals that many of us scrub all over our face everyday. Did you know that we absorb 60% of what is put on our skin? Most women put 5 to 10 different products on their face daily; think about the amount of chemicals entering our bodies…it certainly adds up over time. Our skin is a reflection of what we absorb into our bodies both nutritionally as well as topically. After reading a few articles and doing some research I made the decision to switch over to all natural skin care products. My boyfriend helped me kick off the switch by filling my Christmas stocking with a skin care line called, S.W Basics, a small start up out of Brooklyn, NY that has really taken off. Their products are all made with natural oils and herb extracts that are scientifically combined to bring you the best results for your skin. 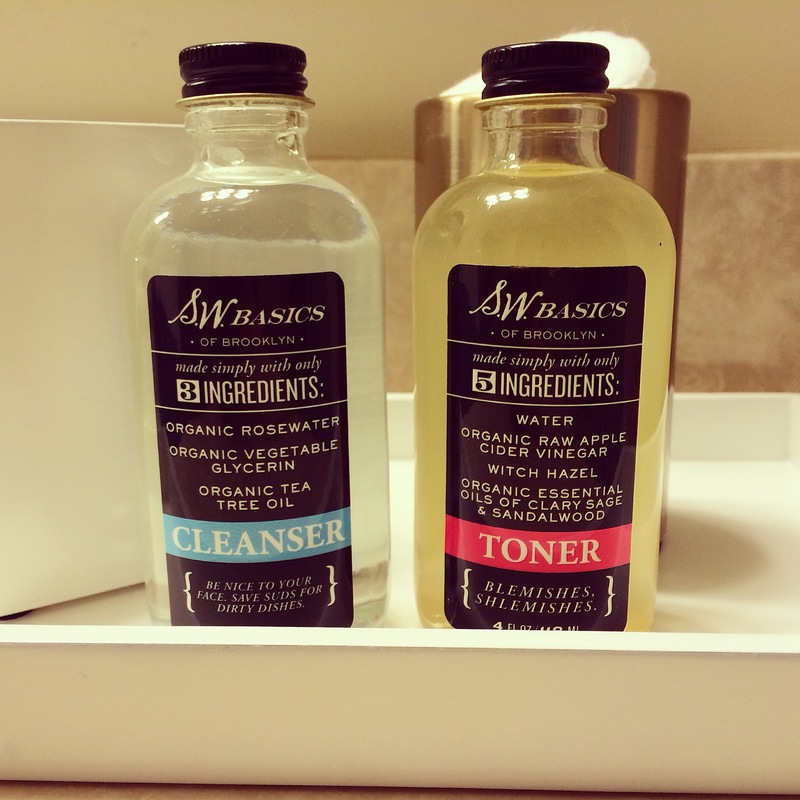 These products are especially great for anyone who has sensitive or acne prone skin like I do. S.W. Basics makes their products from scratch using only whole, high-potency, organic and fair trade ingredients. Each product contains 5 ingredients or less, because their motto is fewer ingredients means more potent skincare. S.W. Basics also supports local small farms to source their products; just another great perk. Not convinced yet? 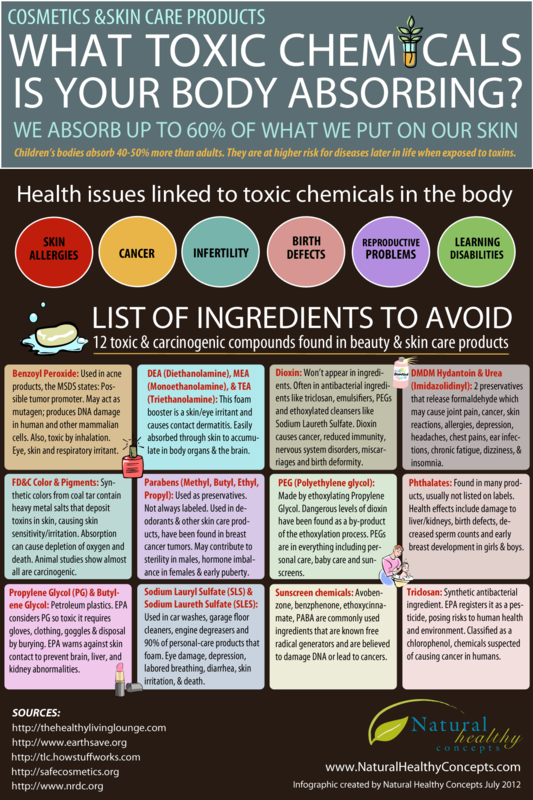 Here is a great info graphic that shows just some of the harsh chemicals that are in almost all of your skin care and cosmetics. S.W Basics can be purchased on their website and now can be found online only at Target. S.W. Basics can also be found in many small local beauty boutiques. In the South End of Boston, MA & Wellesley, MA it is sold in the Follain boutique. Follain also carries many other all natural cosmetics and skin care lines. This article also appears on Women’s iLab to inspire the next generation of female leaders.